With a long history of manufacturing excellence, Pocono Coated Products provides custom adhesive tape solutions. Their state-of-the-art production facility allows for highly advanced designs, large volume production, and advanced quality control. 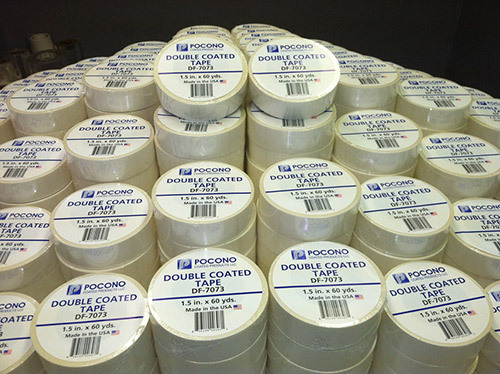 Pocono Coated Products specializes in double-faced, single-faced, and Gaffers tape for consumer, industrial, and medical uses. These tape products feature even peeling, easy removal, and in some cases water tight seals. Full coverage and dry edge properties are also available. Materials include paper, polyester, vinyl-coated fabric, and any customer-supplied substrates. Maximum tape dimensions are 3/8" to 59" width and thickness of .5 mils to 8 mils. Tape can be provided in rolls up to 30" in diameter and 1.5" to 6" in core diameter. Tight weight tolerances of ± 10% are held within production, which includes coating, slitting and packaging processes. Peel, chemical, and transmission testing ensures universally high levels of quality. 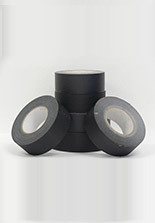 This highly cost-effective manufacturing solution provides a superior tape product from a reliable production partner. Small to large orders are possible on lead times of two to four weeks. See the table below for more specific info, or contact Pocono Coated Products today to learn more. 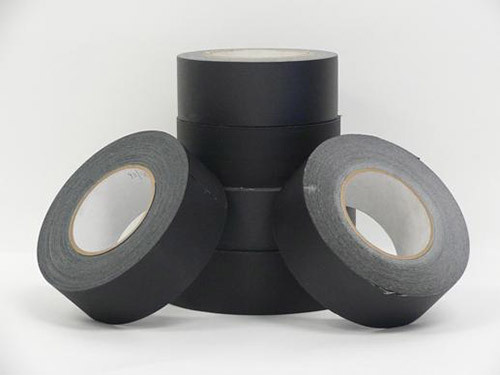 Double Faced Tape, containing a polyester backing and an aggressive HMPSA on both sides. Primarily, but not limited to, adhesion to foam. Double Faced Tape, containing a polyester backing and an aggressive HMPSA on both sides. Designed for optimal cold weather performance. Double Faced Tape, containing a polyester backing, and an aggressive HMPSA on the liner side/removable HMPSA facing out. Primary use as a temporary carpet tape for trade shows. 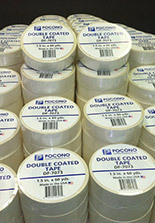 Double Faced Tape, containing a polyester backing, and UV acrylic on both sides. Safe for skin contact. Double Faced Tape, containing a tissue paper backing, an HMPSA on both sides, and dry edges for easy peel. Silicone release tape, with a removable HMPSA. Fabric tape with an aggressive removable HMPSA. Cross Laminated HDPE with a paper liner and an aggressive, nail sealing, HMPSA. 36" wide, cross laminated HDPE pattern coated on the bottom side with a removable HMPSA and pattern coated on the top side to yield antiskid characteristics.